Originally slated for a full release tomorrow on February 9, 2018, Final Fantasy 15 Pocket Edition is available to download now on the App Store. It doesn’t look this was supposed to happen though, since you still have to pre-register on Android via the Play Store. Final Fantasy 15 Pocket Edition is a complete port of the main Final Fantasy 15 game that hit consoles at the end of 2016 and is coming to PC this March – just with a condensed world and lower-res chibi-style visuals. The first chapter of the game is free to download, but the whole story costs $19.99. You can also buy the chapters individually. Chapters two and three cost $0.99 each, while chapters four to ten cost $3.99 each. The whole cost is roughly in line with what Square Enix have charged for previous instalments of the numbered Final Fantasy series on mobile. This isn’t the first foray onto mobile devices for Noctis and friends however. Free-to-play kingdom builder Final Fantasy 15: A New Empire is available on the App and Play stores, with Noctis also scheduled to be coming to Dissidia Opera Omnia soon. The App Store lists the pocket edition as requiring just under 730MB of space, but it downloads quite a lot more data after the initial install – about 700MB, which brings to total space needed up to around 1.5GB. So if you have a smaller device, you might have to clear some space. 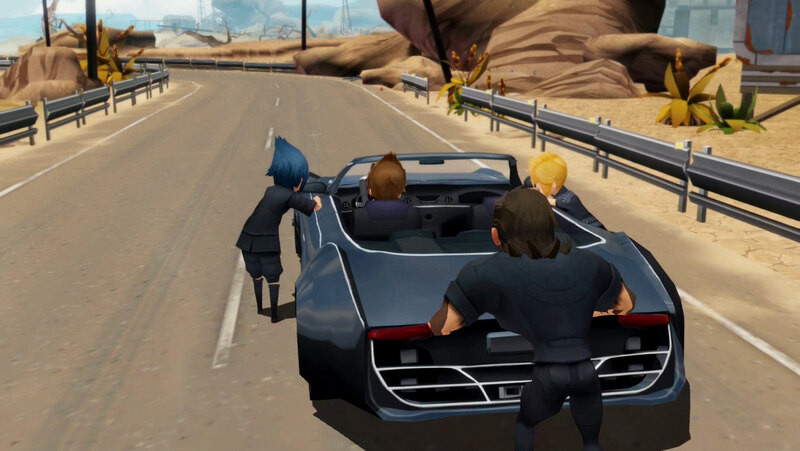 Is Final Fantasy 15 Pocket Edition worth it? If you’ve got the room for it though, Final Fantasy 15 Pocket Edition is really quite fun. Scenes from the full game have been recreated with cute little chibi-style characters, a bit like the Lilikins in World of Final Fantasy, so things like pushing the Regalia at the start feel instantly familiar but with a fresh twist. The voice acting and music seem like they’ve been taken directly out of the full game as well, which means presentationally this new mobile version comes across really well. If you enjoyed FF 15 on console, then Ignis’ grin-inducing cries of “That’s it!” when he thinks of a new recipe, or Yoko Shimomura’s brilliant soundtrack, are going to remind you why you loved it in the first place. The combat doesn’t let things down either. It can be a bit busy on the smaller screen at times, but it works pretty similarly to the console versions as well. Noctis’ basic attacks are automatic once you choose an enemy to engage, then you can hold down over a target to Warp Strike. You tap a button on-screen to dodge or parry, and even the Break mechanic of weakening an enemy if you hit them unawares has been brought over. There are some issues, like the buttons you have to tap on the side of the screen to activate your party’s abilities are absolutely tiny on a phone, but otherwise, everything from switching weapon types on the fly to managing your health and MP are quite well represented. 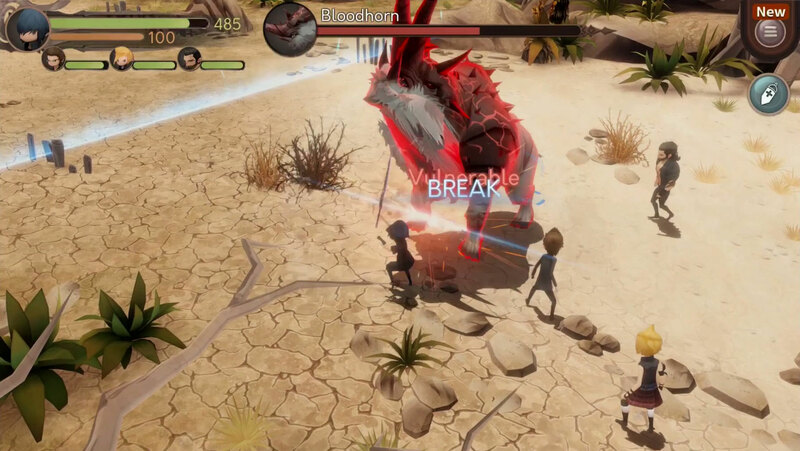 The open-world elements have been heavily condensed for mobile, and you’re automatically ferried between story beats rather than making your own way through the wilderness. There is a degree of choice though – there are side quests to complete, optional paths to take and loot to uncover. Whether the game justifies the price though is going to be a matter of personal preference. If you didn’t like the characters first time around, then this Pocket Edition is not going to do anything to change that. If you did vibe with the beautiful boys though, then this could be an easily digestible way to jump back into that experience in bite-size form. If you’re interested in Final Fantasy but never played 15, then this is a good an opportunity as any to give the opening try. It might not be the best way to play Final Fantasy 15, but it might just be the easiest.